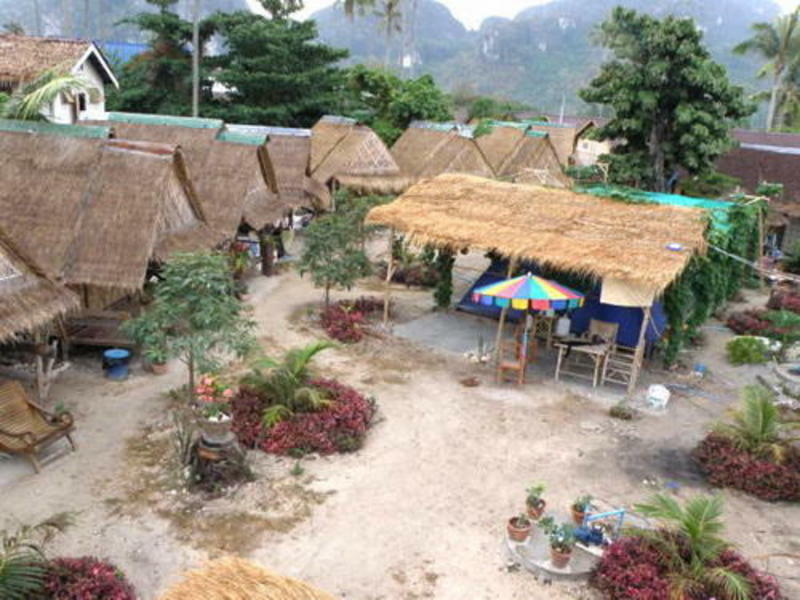 Charming little resort of 12 bungalows with individual or shared bathroom and 20 bed dorm situated at about 10 minutes on foot from Tonsai bay and the pier, or 3 minutes from Loh Dalum beach. Surrounded by palm trees and decorated with all sorts of plants, including orchids, you'll enjoy some quiet time on your porch, lazily lying on your hamac. Restaurants, bars and shops are located less than 2 minutes away and in no time, you'll find yourself appreciating the charms of the Thai cuisine or relaxing under the expert fingers of your Thai masseuse. The main road leading to the viewpoint or the pier is 50 meters away, which protects your privacy and offers a good protection against the noise of the people passing by. Of course, for those who like to enjoy the night life, most of the bars and night clubs are situated less than 5 minutes away.